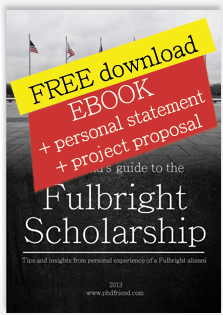 There are several stakeholders involved in the Fulbright Scholarship process. Your US Embassy, your research institution in the USA, the IIE and more. This post describes how/when you will be involved with each one. As the application process is usually orchestrated through your (or nearest) US Embassy, you should first contact the person responsible for Fulbright Program there. This is the person you will be mostly in contact with and probably the person most knowledgeable about the Fulbright application process. This local representative is in constant contact with IIE and also very responsible for the fate of your application. The whole process, from thinking about applying to the end of visit, requires a lot of determination, effort and time. Even though it depends on the country you are from, the whole procedure is usually a “competition”, since there are many more applicants than there are grants. If you are thinking of applying or already in the process, I hope this site will be at least a bit helpful. 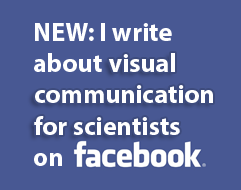 Other good resources are blogs of Fulbright scholars, groups and BB’s. What the IIE are Looking For? your personality should be friendly, open to new acquaintances, and eager to experience cultural diversity. From my experiences, the committees do a fabulous selection and the Fulbright Fellows are almost with no exception amazing people you’ll enjoy interacting with. The Fulbright Scholarship is the main activity within the Fulbright program, which is part of the Bureau of Educational and Cultural Affairs (ECA), Department of State, USA. Inside the USA, the Fulbright Program is executed and taken care of by the IIE in cooperation with various organizations in other countries involved in the Program. There are many different Fulbright Scholarships ranging from those for PhD students to Professors, from travel grants to several semesters and even years. Some cover minor expenses and others cover almost everything you imagine. Due to the diversity of the Fulbright Program, you should first get in contact with your local Fulbright Scholarship representative. Usually, they are employees of the local US embassy. Countries with the largest number of Fulbrighters currently in the USA are: Pakistan, Germany, Brazil, Indonesia, Chile, Turkey, Russia, Mexico, Spain. thank you very much for the this info, but please tell me if there is a fulbright representative in kenya? i really need a scholarship to do a BSN degree. thank you. Thank you very much for sharing this information with me, but please tell me if there is a fulbright representative in India , Mumbai? I really need a scholarship to do a MSC degree in international marketing. Thanking you. Warm Regards Jarvan. Thank you for all the information you are providing here. You are putting a lot of effort to present this, and I just want to let you know how I appreciate it. I am applying for Fulbright’s FLTA program, and currently waiting for the affiliation results. I am clueless as to how these procedures go, and I am so hungry for more information. If there is one thing that Fulbright applicants should know,it is that they have to prepare themselves for lots of waiting. You just wait, and wait, and wait, and wait. The waiting is for about 15 month. You have to be very patient. Thank you for sharing! This is very helpful because I am interested in applying for the Fulbright to do research in the UK or France. l am also intrest to get scolership in this what I do?